Geneseo students are eligible for major external scholarships for both undergraduate and graduate study and for travel in many parts of the world. 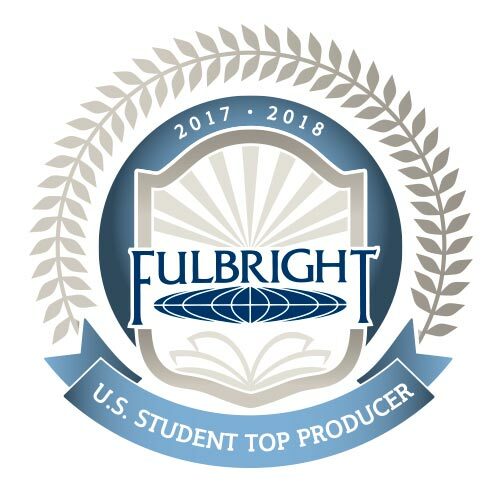 For the 2017-2018 year, SUNY Geneseo was named a top producer of U.S. Student Fulbright Awards. Sharpen and focus your qualifications and career goals by the time you apply. National and international scholarships are highly competitive and the information in the links listed here will help you to select the programs that best suit you. See the calendar page for both local and national deadlines. The Office of Fellowships and Scholarships works closely with other Geneseo programs to offer workshops and individual guidance in writing applications, submission of recommendations, preparing for interviews. 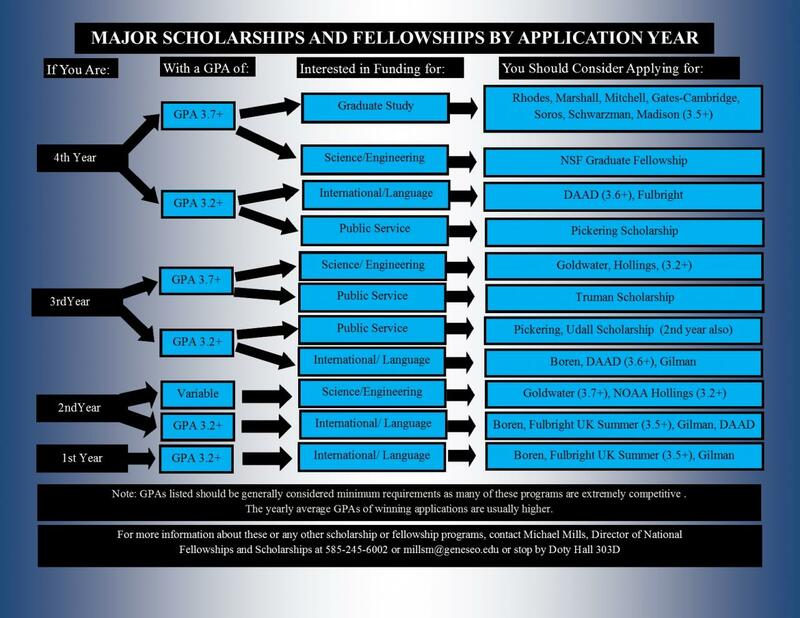 For more information about fellowships and scholarships, please contact Michael Mills at millsm@geneseo.edu, or visit his office in Doty 303E. 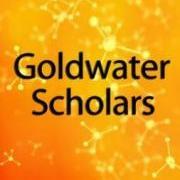 Faculty assist in selecting applicants, preparing application essays, and interviewing students on campus.